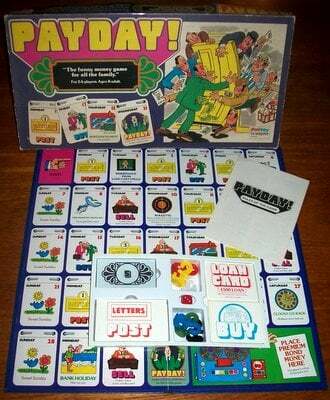 'PAYDAY' BOARD GAME: the funny money game for all the family. 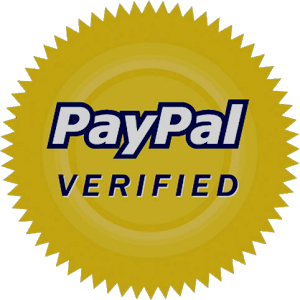 Buy and sell anything from a caravan to a casino; try your luck at roulette or premium bonds; but watch out for those bills in the post! Will you make it to payday? This is an excellent and complete example of a first edition classic board game. The box is in excellent condition: all four box corners remain firmly intact without the use of sellotape and the box itself is not warped in any way. The picture on the box is in very good condition for its age and is free from rips and creasing of any kind. The game board can be described as being in excellent condition: there are no rips, tears or creasing and the spine is perfectly intact. The pictures are clean and the colours are vibrant. Likewise, the playing tokens, money and cards are all in very good to excellent condition. We have never seen a first edition of this classic vintage board game in such excellent overall condition.